We’ve been travelling and taking tours for over 4 years now and more and more we’re using GetYourGuide to reliably get us to the places we want to go, on the day that fits with our schedule. We’re savvy travellers and we like a bargain, so why, and when, do we use GetYourGuide to book the tours and experiences we need? Also, why is GetYourGuide often our first port of call when researching what to do in a new global location? We present you with a GetYourGuide review to help you decide if this is the reliable tour company you should use, information on Get Your Guide Dubai and Vietnam along with Get Your Guide Harry Potter Tours. Other tour companies and online providers exist, but GetYourGuide is the one we use most often. 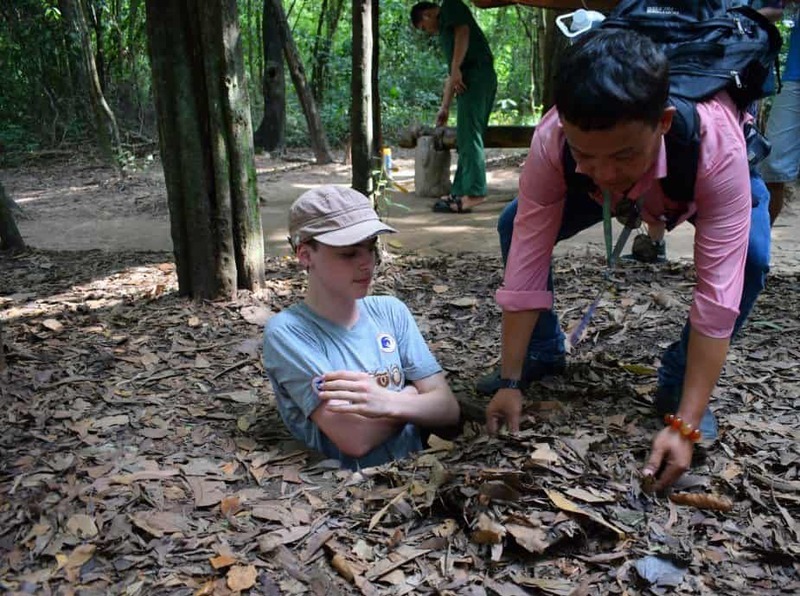 Our Cu Chi Tunnels Tour was booked through Get Your Guide Vietnam. We enjoyed bus pick up, lunch and a knowledgeable tour guide. Our tour was arranged on the day we needed it and we had full peace of mind. Why Did We Start Using GetYourGuide? Why We Prefer Guided Tours to Going Independently? What Sort of Tours, Attractions and Activities Can you Book Through GetYourGuide? What Countries Does GetYourGuide Cover? Is GetYourGuide Cheaper Than or More Expensive Than , Booking Locally? 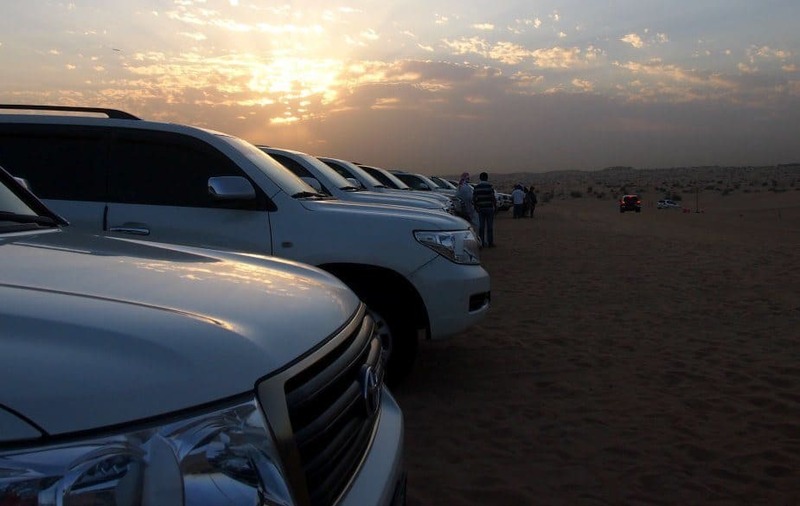 Get Your Guide Dubai Desert Safari Tours and many more activities and sightseeing tours available locally. 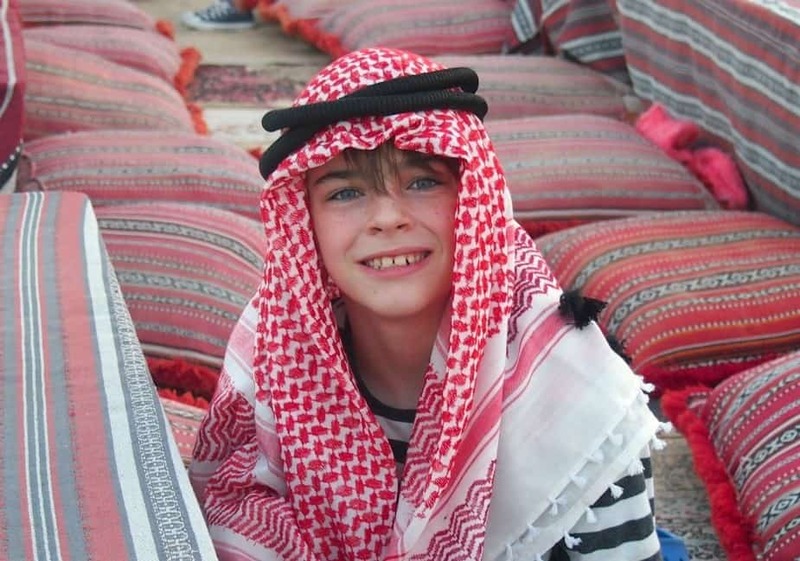 In Dubai several years ago we badly wanted to get out to the desert to enjoy dinner, belly dancing, camels and the whole Dubai desert experience. Dubai has limited local shops and agencies arranging tours and we all know that booking tours through your hotel is generally a bad, and expensive, idea. Nobody wants to pay the hotel an extra commission, right? Also they won’t be impartial, they’ll sometimes sell you a tour based on which tour agency gives them the fattest cut. It was then that we discovered GetYourGuide Dubai and booked our first tour, a Dubai desert safari evening tour . This tour was one of our best travel experiences ever and since then we’ve looked out for similar tours to book and enjoy, we’ve actually taken this camel safari tour twice, it was so good we did it again 2 years later, again booked through GetYourGuide for convenience, ease, value and peace of mind. 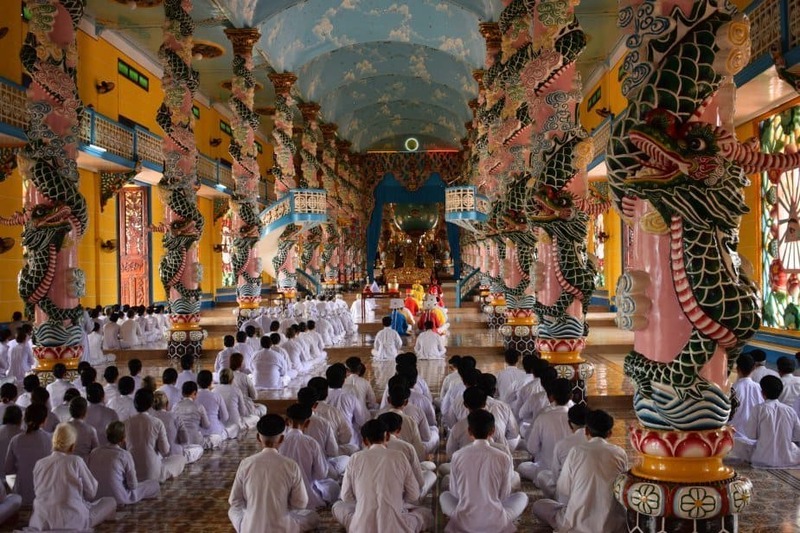 Get Your Guide Vietnam took us on a 1 day tour to the fantastic Cao Dai temple above and on to Cu Chi tunnels for an educational and hugely enjoyable tour for the kids. Just a few days ago, here in Vietnam, we took another GetYourGuide tour, as their guests, and enjoyed another fantastic full day tour on the Cu Chi Tunnels and Cao Dai Temple out of Saigon. We know Vietnam, we know how to arrange tours locally in Vietnam, yet we took up GetYourGuide’s offer for peace of mind and to be 100% sure we’d have the tour we wanted on our 1 free day in Saigon, with a quality operator, at a decent price. See our full Vietnam travel blog and guide here. All manner of Harry Potter tours are available through Get Your Guide. 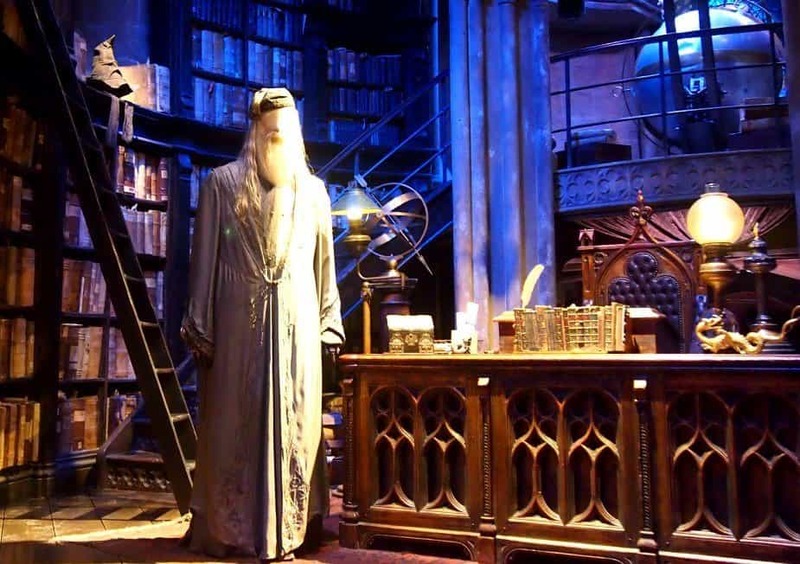 Warner Bros Studios with transport, walking tours of Harry Potter locations in multiple cities and more. We plan to use Get Your Guide again and again as we continue to explore the world with our children. We are not rich tourists, we are not those money-is-no-object people, we like to find travel bargains and we are travel professionals . Booking tours online is a good choice or we wouldn’t do it and we wouldn’t endorse GetYourGuide. All views are entirely our own and we have not been asked to write this post by the company. I am outsourcing the kids’ education, a good guide and a different adult voice can usually make the children pay attention and soak up more information than I can. Also it’s nice to meet new people and be in a small group sometimes. It suits us,it’s what we enjoy and we think, the best way to get real value out of the places we visit. Half day tours, full day tours, 2 day tours, 1 week tours, airport transfers, ferries, cooking courses, tickets for events, food tours, if it’s available, you’re quite likely to find it on GetYourGuide. The question should really be what countries don’t they cover. All usual holiday hot spots are listed along with many obscure and unusual destinations. We’ve had great results in Dubai in particular, where booking tours locally is often difficult. This depends on you. Are you good at finding a bargain? Can you haggle prices down effectively? Do you want extras such as food and pick ups included in your tour. It’s impossible to know for sure here as comparing like with like can be tricky. On our recent Vietnam tour for instance I bet everyone on that bus had paid a different price. Our tour was the only one that had all admission charges, food and drink already included, yet the price was great. No stress, no extras, no cash. Not all GetYourGuide tours are like this, on some you will have to pay extra for some things, but what’s included and what’s not is clearly marked out in the tour description. Make sure you check this section thoroughly before booking as conditions vary. If you can find an activity or tour cheaper elsewhere, just tell Get Your Guide about it an they’ll cover the difference, no questions asked. Make your life easy. Touring local agencies on arrival can eat your time on vacation. Book in advance, from home and just enjoy your holiday once you arrive overseas. Scheduling. If time in your destination is short make sure your tour isn’t fully booked, or unavailable, on your exact dates. Know what you’ll be doing on each day and don’t risk disappointment. Avoid scams. Unscrupulous local agents can take tourists for every cent if they aren’t familiar with local prices, currencies and the requirement to bargain or haggle. Pay a fix, fair price in advance. Find the right tour. On the get your guide website you’ll find tours you never imagined existed. If you’re looking for a cookery tour there may be 10 different versions. There may be tours to nearby places that you didn’t dream possible to visit. You can book exactly the right tour for your needs. Have a big company behind you. In the same way that we always book hotels and accommodation through the big online booking engines, we like having the support and re-assurance of a big company behind us should anything go wrong. A little trick we’ve picked up over the last 4 years of travel, if we’re heading somewhere new and want to find out what there is to do locally, we can search GetYourGuide for our location and dates and instantly review a list of possible tours and attractions. Narrow the list down using filters such as ” food and culinary” in the left hand side-bar to tailor your search results to your needs. Our list will appear with prices, anything seasonal or otherwise unavailable will be automatically removed, it’s a great way to find tours on vacation. My kids love GetYourGuide, use the tips below to find amazing, interesting, fun things for kids to do on GetYourGuide. These adventures make great gifts too! Pictured above, a tour we did with Get Your Guide Dubai. Here’s another tip for using GetYourGuide, just enter the word “children” as your location and every child focused tour GetYourGuide offers globally will appear. These include such things as tickets to zoos or theme parks which can be great gifts for kids or families. Want to be destination specific? Enter, for example, “children London” . Many things to do, for children, in London will appear along with prices. Add dates to your search term and you can find out, for example, what’s available over the Christmas holidays. London Harry Potter Tour 2.5 hours. Isn’t that genius? You’ll find things to do you didn’t dream existed, museum tours in Italian, Paddington Bear tours, Harry Potter tours, theatre tickets and dining packages. It’s a super cool resource if you know how to use it. Click through here to browse GetYourGuide website or check out some of the options below. We hope you found our GetYourGuide Review useful, as I said, we only deal in genuine reviews and experiences on this site, I have in no way been influenced to write nice things about them. We enjoy using them, we do use them, we will continue to use them. If you’d like to click through to their site and start researching tours and things to do in your location, you can do it here. Thank you for such a comprehensive review on Get Your Guide. I’ve seen a lot of travellers snub doing group activities and tours so it’s nice to find a positive article. I think a mix of travel style suits us best and have loved using this company. We just went on our first Get Your Guide tour and LOVED it! They are amazing. Loved not having to do the same itinerary as everyone else, we just booked a driver, told him what we wanted and presto. Awesome. Can’t wait to check out their coastal / snorkelling trips next week when we head to Sanur. Thanks for this excellent resource and info! We will be starting our our around the world trip in July so we’re starting to look at tours and such. This comes at the perfect time!